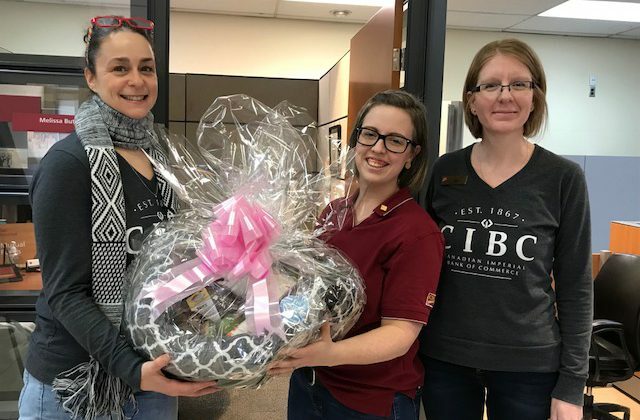 The CIBC in Kemptville is raffling off items to raise money for Big Sky Ranch Animal Sanctuary. Photo: Jennifer Westendorp-Juice FM. Big Sky Ranch Animal Sanctuary will get a boost from CIBC. The local bank is raising money for the rescue through raffles. Fundraising efforts kicked off in January and have brought in around $1,400 so far. Organizer Melissa Button says a gift basket donated by Pet Valu is up for grabs this month. 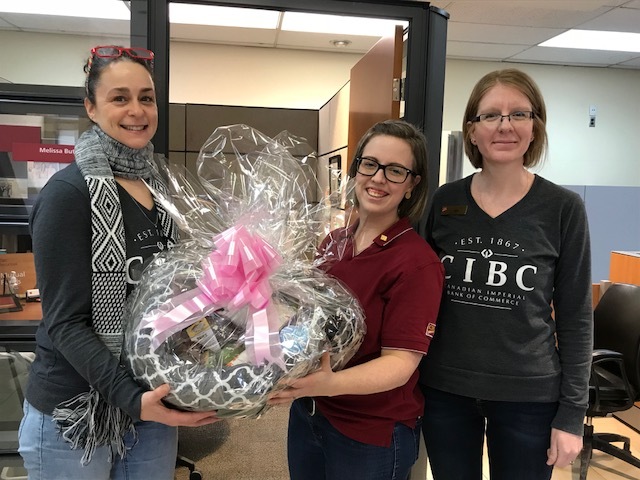 The bank raffled off Valentine’s Day brunch tickets from Castleview Fine Dining in January and plans on doing a third raffle in March. People can drop by the bank to get tickets, which are $5 each, three for $10 or ten for $20. Button says customers who are not familiar with Big Sky Ranch are being encouraged to check it out because visiting is down in the winter. CIBC will also be doing a bake sale to bring in dollars. The sale kicks off February 26 and will run for a few days. For more information, contact CIBC directly by calling 613-258-3491.